Rotson Solitaire is one of the popular residential projects located in Hubli. Developed by Rotson Group, this project offers thoughtfully constructed 2BHK, 2.5BHK, 3BHK, 3.5BHK apartments, 3BHK duplex apartments and 3BHK, 3.5BHK penthouses with modern amenities for the comfort of residents. Adding to this, it is close to the market, hospital and many educational institutions. What is the project location?The project is located at Keshwapur, Hubli. What size of flats are available in Rotson Solitaire? The apartment sizes in the project vary from 990.0 sqft to 3990.0 sqft. 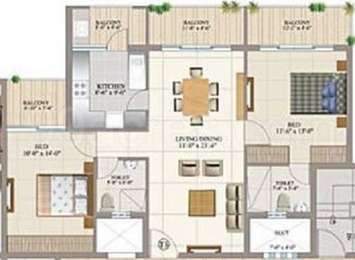 What is the area of 2 bhk in Rotson Solitaire? 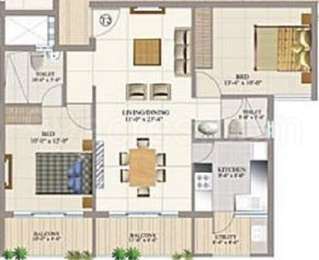 The size of a 2BHK unit in the project ranges from 990.0 sqft to 1485.0 sqft. What is the 3 bedroom size in Rotson Solitaire? 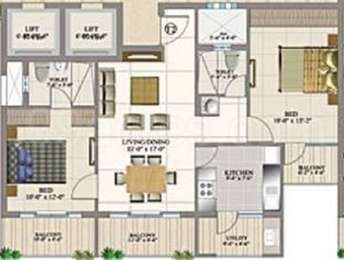 The area of 3BHK units in the project varies from 1485.0 sqft to 3990.0 sqft. How many towers are there in Rotson Solitaire? There is 2 tower in the project, which offer a total of 120 housing units. Does Rotson Solitaire have cricket pitch? The project doesn't offer a cricket pitch. Hi Kumar, I am Dev Parker, a property adviser. The current property rate in Hubli is 3200-4000/sqft in Murarji Nagar and Keshwapur. By the way where are you looking for the property? We do have best options for you. If you are interested please let me know I shall help you. Thank you.